What a dilemma I'm facing. Should I be happy Chris Eckman releases a new album or should I be sad, as this album was a great opportunity to reunite his old band The Walkabouts? 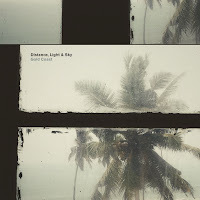 As I prefer to celebrate life and not to mourn too long for things past, with notable personal exceptions, let me be glad for Distance, Light & Sky's second album. In a way it's old news as well, as Gold Coast is the band's second album, after releasing 'Casting Nets' in 2014; an album that passed me by. 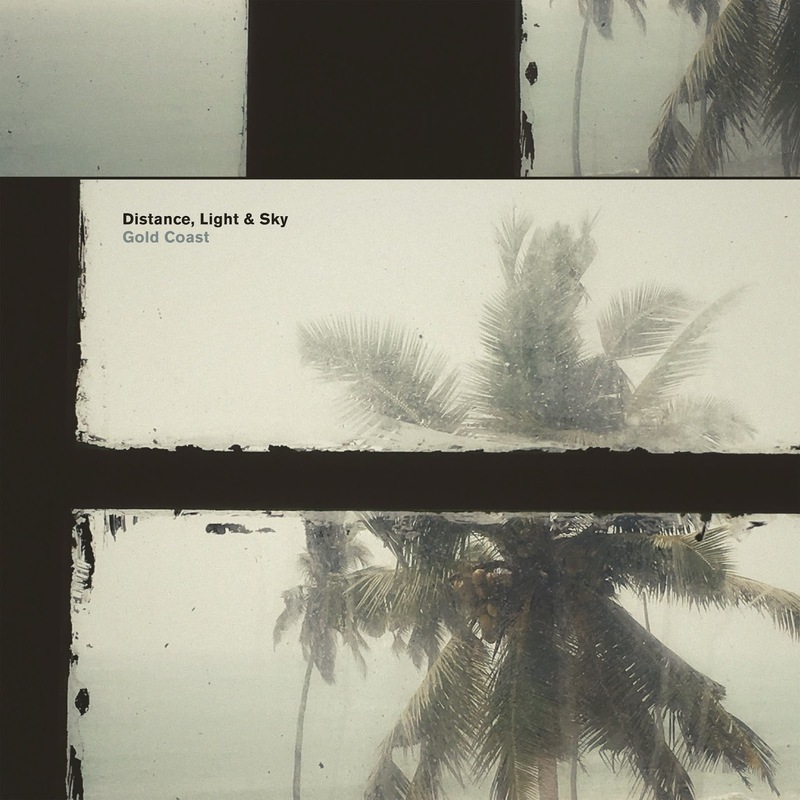 Distance, Light & Sky is Chris Eckman, Chantal Acda and percussionist Eric Thielemans. The first two being no strangers to this blog. The experimental jazz Tielemans plays with his EARR Ensemble is the odd one out here. Together the trio makes slow, moody music. Music that creeps up on the listener, slowly but surely. Making a lasting impression along the way. "Slo-Mo" time Gerrit van Dyck and Sara Raes sing in the same titled song from The LVE's latest album 'Heartbreak Hi'. This is the total right description of the music on Gold Coast. The music may be differently played, the moods are identical. Leaving behind my preconceptions and old preferences I can't help but notice how the beauty and the beast presence of Eckman's and Acda's voices work a miracle. The sand and gravelly quality of Chris Eckman bounces against the fairytale voice of Chantal Acda, creating the finest of contrasts between the two. The soft, moody music behind them underscores the stories. It is Thieleman's drumming that in some of the songs delivers the upbeat feelings. Sprightly hitting on the snare, clear and firm, creates a more happy mood and that is a first time for me that I notice the drums making a song happier. This is a result of the spacious sound on Gold Coast, leaving a lot of room for all the instruments, making them all come alive. 'Slowed It To A Stop' is the first song that really, really scores. The firm drums, the sad piano notes, this is so beautiful, it makes me pause all I do, all I'm thinking, just focusing on this intense beauty. In comes the duet and the song is set. One of the best songs I have heard from either artist. 'Slowed It To A Stop' is the tell-tale sign of what this trio is capable of. The song that makes me listen to the rest of the album with even more attention, resulting in even more appreciation for what is going on. What this does, is show that it is always wise to look beyond one's inhibitions and preconceptions. Distance, Light & Sky is a fantastic trio. Together with producer Phill Brown it has made a beautiful album. One like I hadn't heard from The Walkabouts since the late 1990s. This is inspiration and building on each other's strengths and eliminating weaknesses. With each song Distance, Light & Sky weaves its web ensnaring the listener into a strangled hold that is meant to not let go. The up side is I do not want to leave the small, moody world created by the band. It fits me like a glove and is one of my favourite albums of 2018 already. It seems the second half of this year is outstripping the first half easily. What a musical feast Gold Coast is.